It was in the year 2004, and I was shooting an event in Wyoming that involved new industry rifles, optics, and ammunition being used against warm targets (prairie dogs). Shooting from a long three- shooter bench, I was on the far left and the guy in the middle had chambered a .223 Rem in a 22-250 Rem caliber rifle. At the shot, the .223 Rem suffered a burst along the case web, taking off the extractor on the rifles bolt face and sending gas and pieces of brass everyplace. When the smoke cleared, I found that I had a large piece of brass embedded in the lens of my right eye as applied to my military grade shooting glasses. In effect, those glasses saved the sight in my shooting eye. As for the general term here regarding shooting glasses: Never leave home without them. 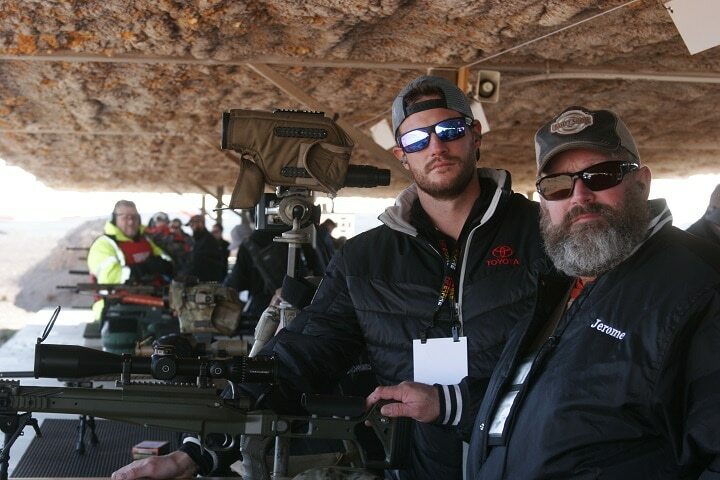 Shooting line on a 1000 yards sniper generated range Shot Show 2018. Everyone has eye glass protection on. Shooting glasses come in a variety of styles and types. 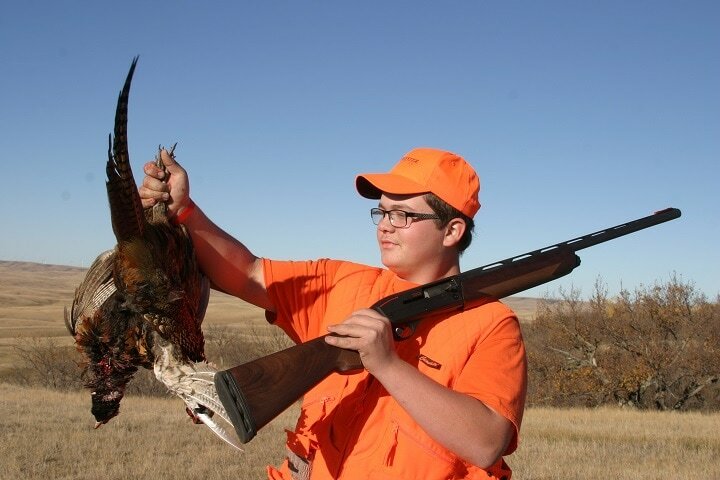 Clays shooters like amber glasses for shooting clay pigeons, riflemen often take to clear glasses when working with longer range specialized optics, and tinted lens glasses are preferred among warm target hunters as in the fine art of coyote hunting. Authors lineup of shooting glasses on the gun barrel wall. 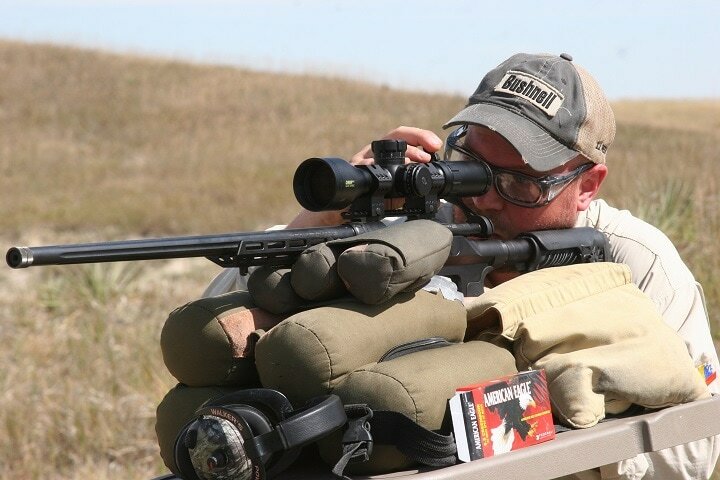 Wiley Saber Advanced shooting glasses come in clear, smoked, rust, grey, clear, matte, rust vermillion, and black. The glasses make use of a strong triloid nylon frame that can withstand the rigors of heavy-duty field ware. All lenses are shatterproof, and these glasses are mission-specific, and design as shooting glasses. The price of Wiley X Saber varies, so check the latest price at Amazon. 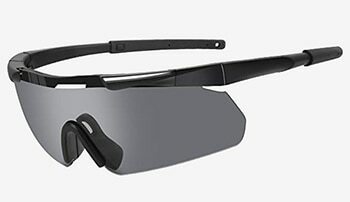 XAegis Tactical Eyewear 3 are interchangeable lens style glasses. The glasses are designed for shooting and make use of three lens colors in the carry pack. 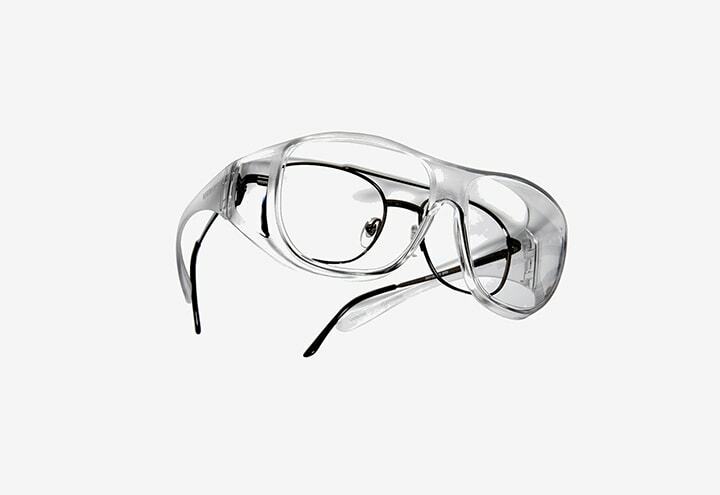 Yellow, smoke, and clear come standard with the shooting glasses system. 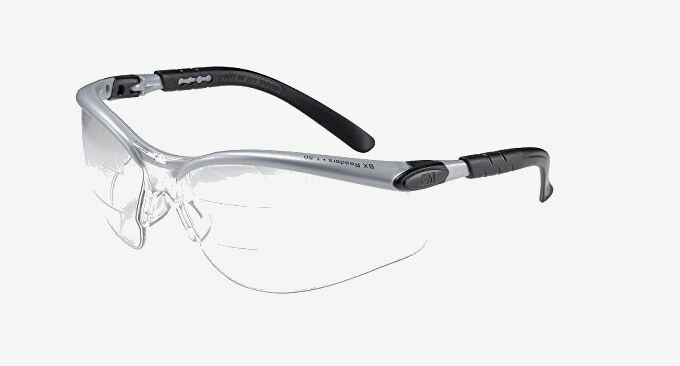 These glasses are scratch resistant and carry anti-fog polycarbonate lenses to protect your eyes from both UVA/UVB as well as bullet fragments and gas blowback. These glasses have a soft rubber nose piece and are lightweight and comfortable to wear. The glasses come with a hard-shell carry case, and this includes the previously illustrated set of quickchange colored lenses. The price of XAegis Tactical Eyewear 3 varies, so check the latest price at Amazon. Shooter, Tom Hanson South Dakota on left with yellow colored glasses, and shooter on right Hastings Minnesota's Todd Gifford, “The Crow Man,” with dark glass lenses. Different strokes for different folks. 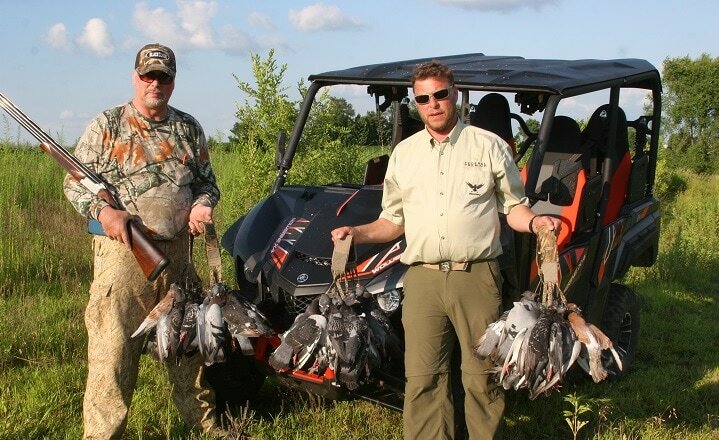 This was a 150-bird pigeon shoot in Minnesota. 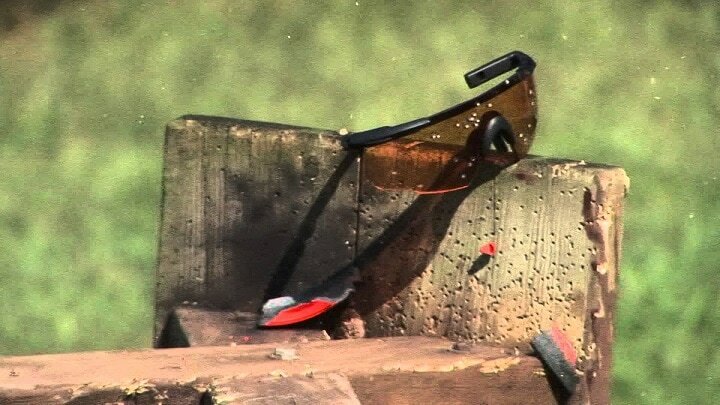 A full day of shooting can cause eye strain, but good shooting glasses can aid the shooter greatly. 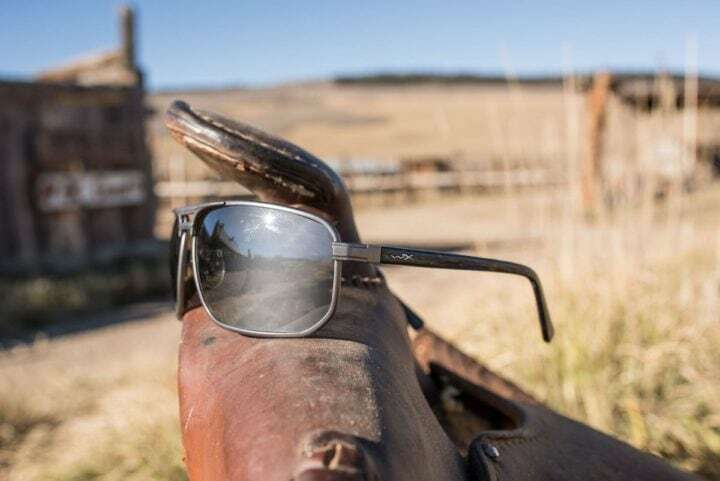 These glasses retain a wraparound feature that could save your sight in the event of a sliding piece of glass or whatever that comes in from the side. It should be noted that many military-style glasses retain this side protection design. While not real flashy, that is not their job as such. Safety is all that is required here. Taking a photo? Take them off. The glasses retain a scratch resistant finish on both sides of the lens. The price of ActionEliters Tactical Eyewear varies, so check the latest price at Amazon. BLUEPOND glasses retain great clarity by way of the TAC Semi-Polarized glasses. These varied color lenses develop only minimal distortion and are workable for night use. These glasses were designed to diffuse harmful light so as to allow for a more vivid outdoor experience according to the manufacturer. The price of BLUEPOND Sport varies, so check the latest price at Amazon. 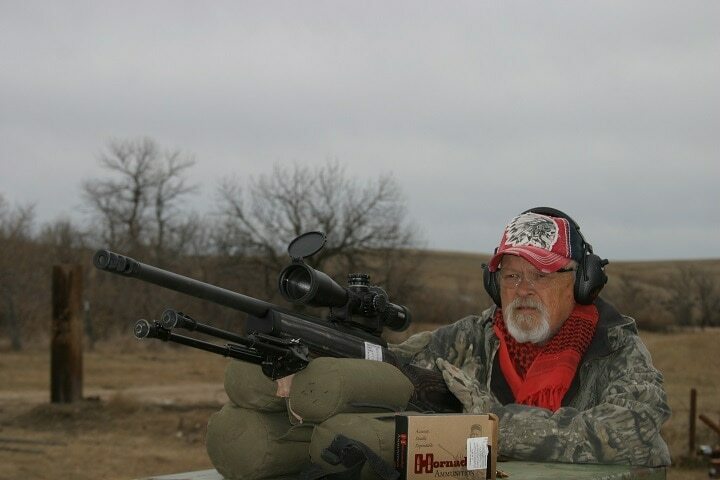 Shooter makes use of clear shooting glasses when long-range rifle shooting. These glasses are standard type for range and some combat operations. 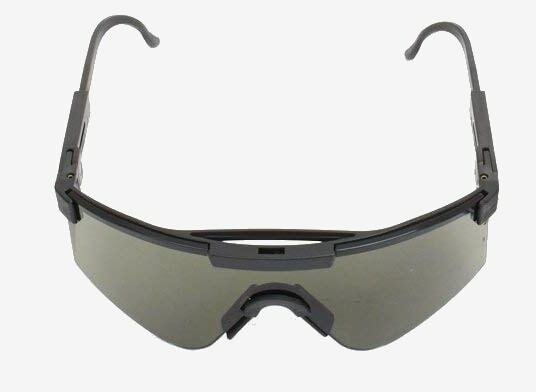 Started production in 1990's, and designed for fighting in the sand "Middle Eastern" theater of combat, these glasses will deflect incoming objects from the side and well as the frontal areas. The glasses are complete with neck strap and US Army manual. The price of IMA Tactical varies, so check the latest price at Amazon. These Brownells safety glasses are designed to work as 2X magnifying glasses in the upper half and lower half with a clear lens in the middle for actual shooting. Many shooters are not getting any younger and as such the bifocal thing seems to creep into older age shooters. 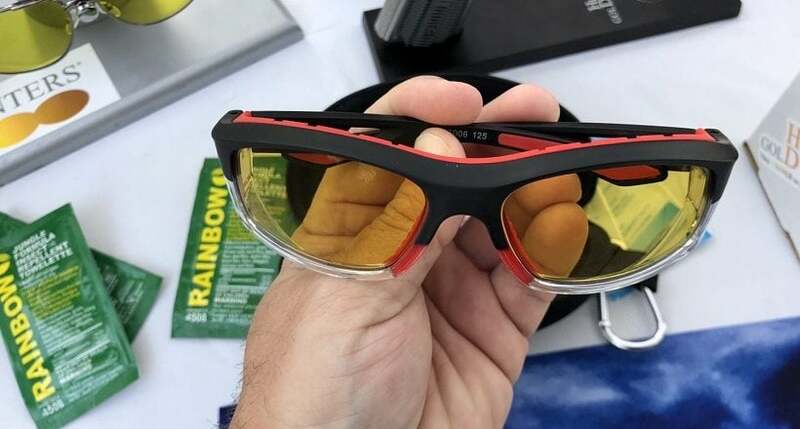 These glasses will help the shooter see intricate details as in scope turret adjustment but also act as the correct safety shooting glasses due to their construction over standard eye wear. Military grade clear shooting glasses being used by author. The glasses are made of high-impact polycarbonate material, and the frames are made of nylon for long user life. The glasses also offer 99.9% UV protection for those older eyes and meet or exceed ANSI Z87 impact protection standards. The price of Brownells Magnifying Safety varies, so check the latest price at Amazon. 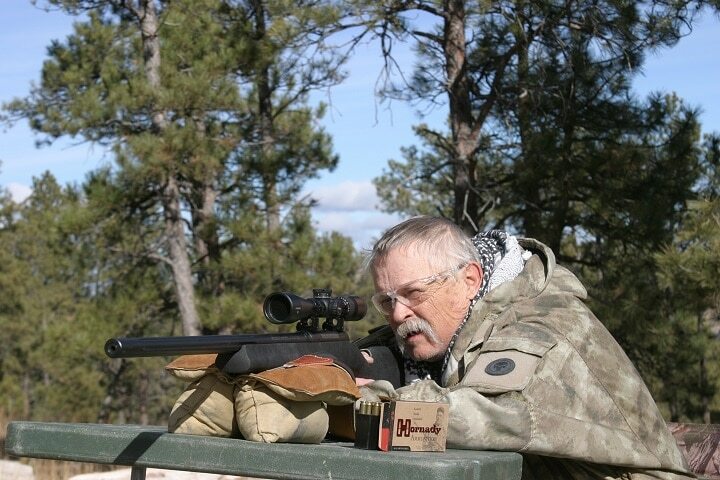 Author with clear lens glasses when shooting heavy rifles at 1000 yards or better. 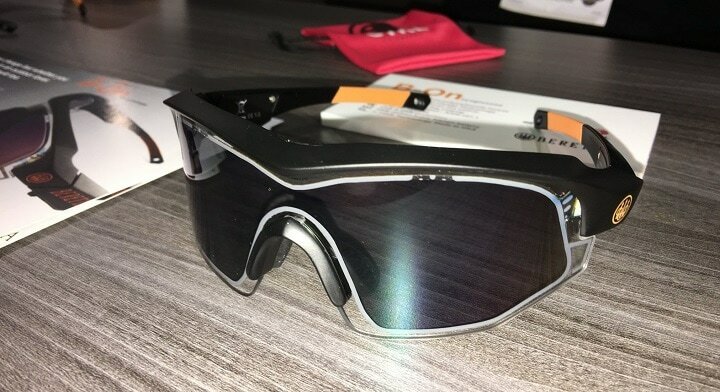 For the shooter that needs to stay with his or her prescription glasses, these shooting glasses over ride your main glasses and offer protection to them and the shooter as well. The glasses come in three colored lenses being clear, amber, and smoke. The Light Guard lens is UV rated very high, and the protection level against impact is at ANSI Z 87.1 rating. That means good protection in normal language. The price of Live Eyewear OverX varies, so check the latest price at Amazon. 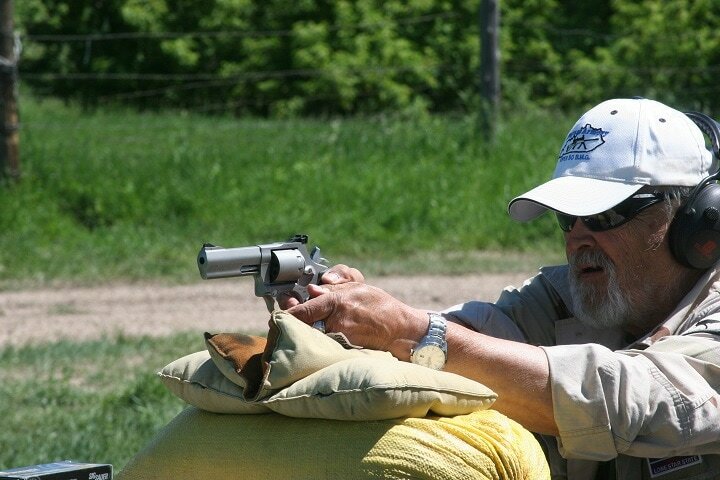 Author with dark glasses when shooting in direct sunlight and shooting a stainless-steel finished handgun. 8. 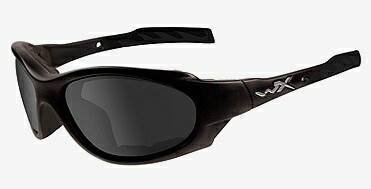 Wiley X Eyewear – Rebel Shooting Glasses. Wiley glasses in the Rebel series are higher end than many and have some added features found on better grade sport shooting glasses. 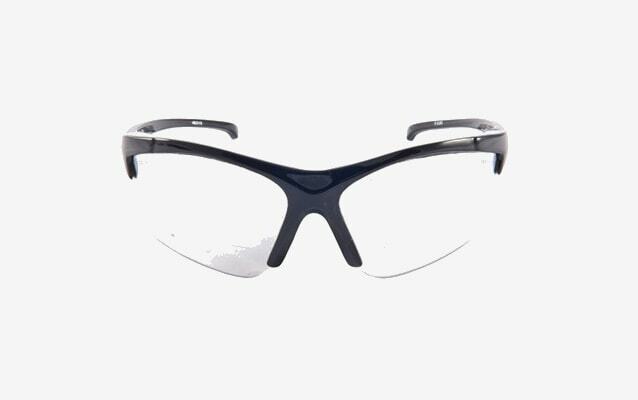 Wiley Rebel X glasses retain a non-slip rubberized fit, lightweight and still rugged and durable. 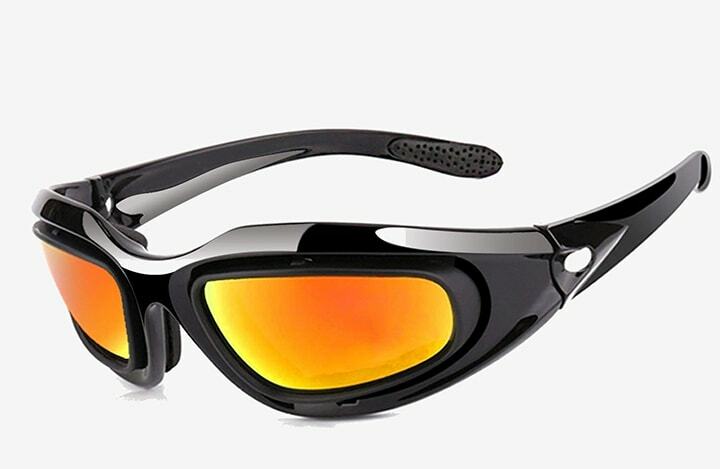 The lenses are shatterproof and block 100% of UV rays. These shooting glasses are rated as OSHA grade occupational protective. The blast rating for them is a Certified ANSI Z89.1-2003 high impact and optical performance standard. Shooter with conventional glasses. Not the best idea going, I would say. Shooting glasses are designed for high impact and in most cases are not made of glass. FYI. The management. If you’re confused about ratings and general protective qualities of shooting glasses, one thing that can help is finding out of the glasses are mil-spec graded. Military standards need to be strict due to the ultra-extreme conditions troops find themselves in at times, or sadly all too often. The glasses illustrated at the onset of this review were exactly that mi-spec rated, and as you can see, those glasses saved my right eye. 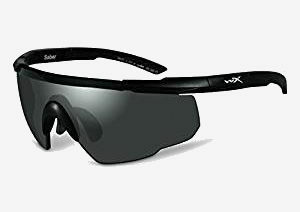 The price of WILEY X EYEWEAR - XL-1 varies, so check the latest price at Amazon. 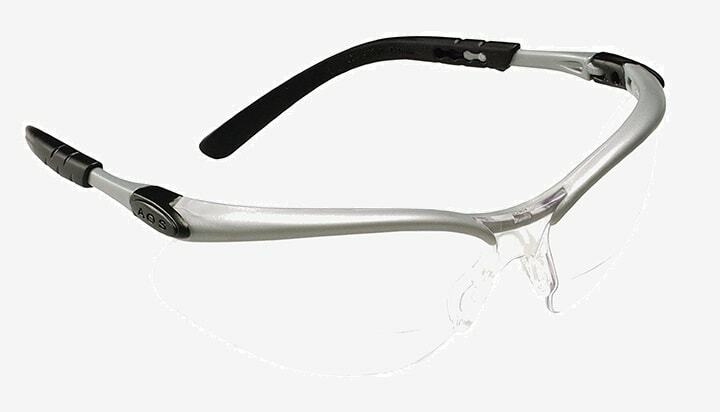 These basic protective glasses allow the user to retain readers as well for detail work in the field. 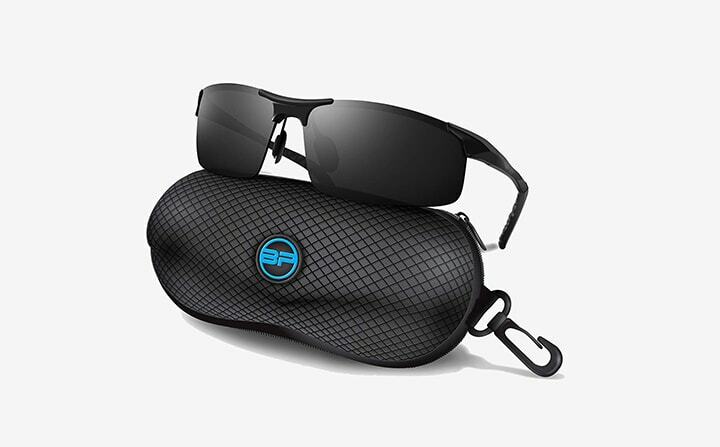 These glasses make use of clear anti-fog lenses with a silver and black frame. When shooters age, the use of this type of specialized glasses can save the day in many cases for the rifle or even scatter gun shooter. 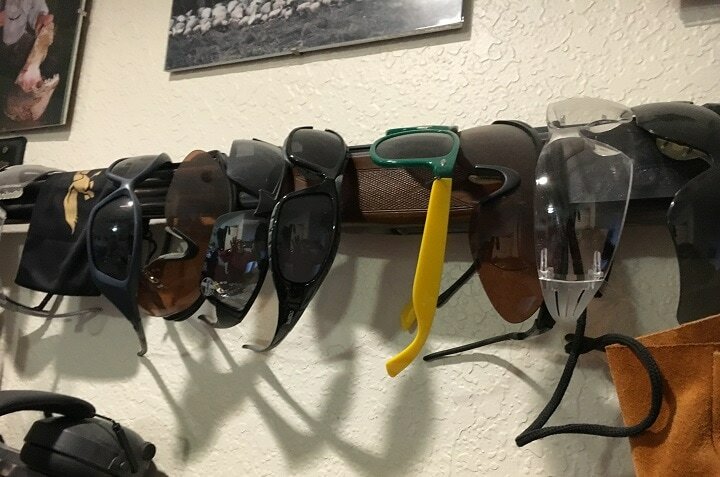 Regardless of the shooting glasses you select, the place for them is over your eyes and not on the truck dashboard when you’re shooting. The price of 3M Dual Reader 2.0X varies, so check the latest price at Amazon.